The St. Louis Workers’ Education Society is proud and honored to have been a part of the ILCA Convention in October 2017. In all, WES leaders spoke on two panels and one workshop. Fifth Ward Committeeman, Rasheen Aldridge, spoke on October 20th, while WES president, Tony Pecinovsky, lead a workshop and spoke on a panel on the 21st. WES leaders Zenobia Thompson, Niles Zee, Alla Kamel, Kevin Fitzgerald and Don Giljum also attended the ILCA Convention. 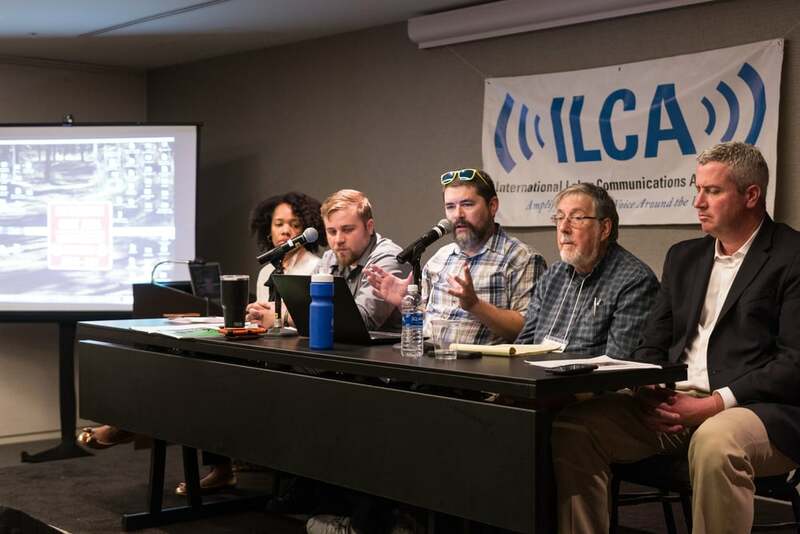 ILCA is the association of labor journalists and communications director for unions throughout the US. Check out the wrap-up from the People’s World by clicking the link below.